Game of Thrones prequel: Everything we know so far. There's a Game of Thrones prequel coming to fill the void in our hearts when the show ends. After months of waiting, the long-awaited eighth and final season of Game of Thrones is just around the corner. With less than 30 days to go (yes, we’re counting down) until the show returns, we’re getting very excited to fulfil our Jon Snow-related withdrawals. But you see, there’s a slight problem. We really don’t want it to end. 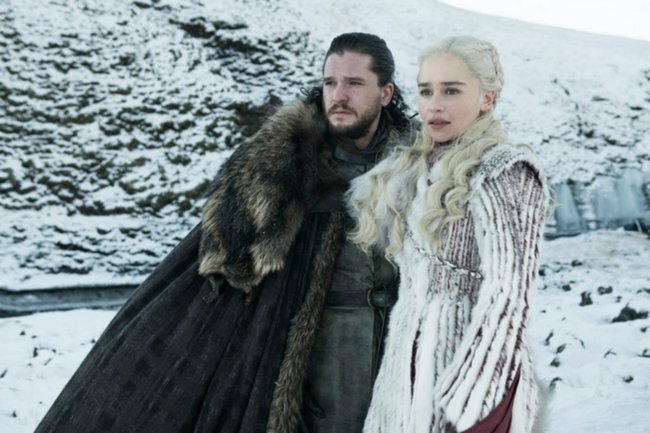 Watch the official trailer for Game of Thrones’ final season below. Luckily for fans, the final season of Game of Thrones isn’t the end. In fact, there’s plenty more to come from the world of Westeros. Last year, it was reported that HBO had launched plans for a prequel to the Emmy award-winning series. Now, a year on from the announcement, new details about the series created by George R.R. Martin have emerged. What’s the Game of Thrones prequel called? Although a title hasn’t officially been set for the prequel, the series has been unofficially dubbed The Long Night. What’s the Game of Thrones prequel about? The prequel series will be set thousands of years before the events of Game of Thrones. The series won&apos;t feature any current Game of Thrones characters. Image: HBO. Although the series won&apos;t feature any current Game of Thrones characters, it will feature their ancestors. The show will also be set in a new land. Speaking to Entertainment Weekly, George R.R. Martin shared that Westeros will be a "very different place". "There&apos;s no King&apos;s Landing. There&apos;s no Iron Throne. There are no Targaryens, Valyria has hardly begun to rise yet with its dragon and the great empire that it built," he explained. "We&apos;re dealing with a different and older world and hopefully that will be part of the fun of the series." According to Martin, the prequel&apos;s screenwriter and executive producer Jane Goldman, has gone into territory that Martin hasn&apos;t explored much in the books. Who&apos;s been cast in the prequel? In the past few months, several cast announcements have been made. In October last year, HBO confirmed that Naomi Watts had been cast in a lead role in the series. Naomi Watts is joined by Josh Whitehouse (Poldark), Miranda Richardson (Harry Potter), Jamie Campbell Bower (Sweeney Todd), Naomi Ackie (next appearing in J.J. Abrams&apos; Star Wars), Sheila Atim (Harlots), Ivanno Jeremiah (Black Mirror), Georgie Henley (The Chronicles of Narnia), Alex Sharp (To the Bone) and Toby Regbo (Fantastic Beasts: The Crimes of Grindelwald). When will it reach our screens? At this point, no official release date has been announced. With filming for the series beginning in the next few months, it&apos;s likely the series won&apos;t reach our screens until 2020 at the earliest. Season eight of Game of Thrones will be available to watch on Foxtel channel FOX Showcase from Monday April 15. How to (legally) watch the final season of Game of Thrones in Australia. 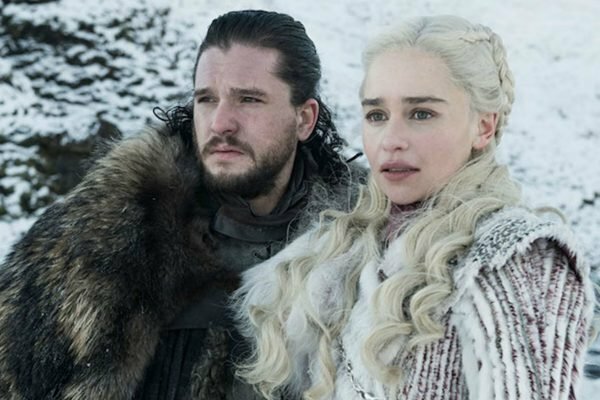 The tiny detail in the Game of Thrones season 8 photos that might give away a big spoiler. How the final season of Game of Thrones will make television history.